For the entire month of March, I’m going to have to post only on salty foods, because February is devoted to sugar. So very much sugar coming your way. 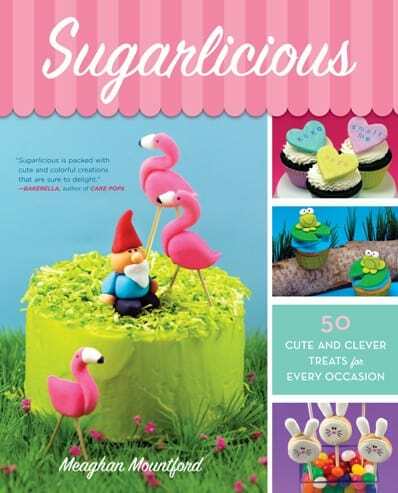 To celebrate the release of my book, Sugarlicious, on February 7th, I have some treats and fun things in store. And remember, all of the information here and elsewhere will be collected on the all about Sugarlicious page. What do you want to see on the decorated cookie in the next month? Because Sugarlicious has a lot. Cookies, cakes, cake pops, marshmallows, cupcakes, petits fours and candy clay. 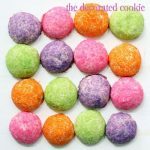 I cover putting sweets on sticks, working with fondant, coloring icing and frosting, piping, flooding cookies, painting and stamping with food coloring, using edible markers and edible icing sheets, decorating with sprinkles and candy, and more. I even add tips on packaging sweets as gifts or displaying them at parties. Everything is in there! Seriously, everything. Organizing all this information was my biggest challenge. Royal icing? Fondant? Cake pops? Flooding? Or more about blogging and book deals? Giveaways!! The giveaways haven’t ended. Plenty more are on the way. Treat Week!! This whole week is devoted to appreciating YOU, the reader. Lots of surprises are in store, so be sure to check back. I’m going to do some chatting with all of you. Check back for details on the facebook chat next week and the twitter event on the 15th. Sweet Treat Friday!! Fridays are all about you!! I’m going to be asking you for your photos of crafty sweets, so I hope you spend some time in the kitchen! 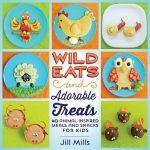 Keep your eye out for Sweet Peeks, where I’ll share how-tos from the book and show you ways to use the techniques to make your own treats. 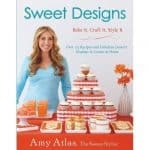 « SUGARLICIOUS blog book tour!! I have always LOVED February b/c of Valentines Day BUT now..I have to say it has gotten over the top! Wow….What a GREAT month for your FANS!!!!!!!!!!!!!! 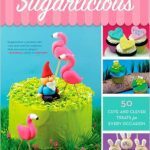 How fabulous that Sugarlicious launch happens in February and during a leap year!! You certainly have planned a fabulously exciting month for your fans. Whoopee!! What an exciting month you have planned! I would love to read more about working with candy clay. I LOVE the calendar you did :)Looking forward to your book. February sounds like it’s going to be a sweet 🙂 month.